Dementia is a catch-all term for diseases of the brain that impact memory and cognition. Alzheimer’s disease is the most common of those, comprising up to 80 percent of dementia diagnoses, and it is fatal. The onset of the disease can occur as early as the 30s or 40s—but even the early onset form of the disease (representing about 5 percent of overall Alzheimer’s patients) typically does not strike until patients are in their 50s. Most often, Alzheimer’s hits adults after age 65. 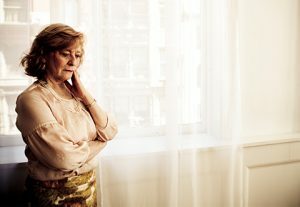 Alzheimer’s is a progressive disease and is usually talked about and treated in three general stages. Caregivers carry an especially difficult burden providing for the physical and emotional needs of Alzheimer’s patients. Your role is wide-ranging: from helping newly diagnosed, early-stage patients plan for the future, to telling others about the diagnosis; and from making later-stage decisions about what kind of help a patient needs and when, to working to preserve your loved one’s dignity. For more detail on providing care at each stage, visit www.alz.org/care. Download this Smart-Take to print and share in your store, attach to emails, or upload on social media.